A visit to Crag Cave Kerry will delight and enthrall families and children all ages and they also offer fantastic school tours. The friendly guides will be pleased to explain the origins of the cave, describe its many beautiful formations and introduce visitors to a world older than mankind. The cave itself is 3.8km long and you will be guided through 400m of it. All tours of the cave are guided and last approximately half an hour and the temperature in the cave are around 10 degrees. The Visitor Centre at Crag Cave has undergone major rennovation with it’s new Garden Restaurant where you can sample their delicious new summer menu.They also have an exciting new Gift Shop with exclusive ranges of gifts, crafts, souvenirs, jewellery, clothing, books and toys. Crag Cave, Castleisland is also home to the indoor and outdoor activity centre Crazy Cave. Crazy Cave Indoor Activity Centre is suitable for children from 0-12 years as it consisits of a baby area, a toddler area and a sports area to cater for all age groups. It is an ideal party venue with activities such as cannon guns, a mega astra slide, a crazy maze, rope bridges, a spiral slide, ball juggler, ballpools and even a new lazer disco room. Crazy Cave Activiy Centre hosts Toddler Mornings on weekdays during the school term. 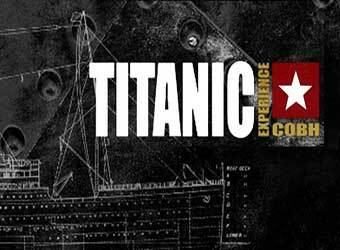 Admission is only €5.00 and includes juice and biscuits. All children must be supervised while at play in the activity centre by an adult and must wear socks at all times. When you visit the caves, the staff at Crag Cave provide teachers notes and students worksheets to help your group get the most out of your visit. The tour guides take each group through the Cave and every effort is made to ensure maximum benefit to the students from their visit to Castleisland’s Crag Cave.Teachers are welcome to participate in the tour and receive a booklet together with worksheets to follow up later with their class. There are two worksheets available one for primary and another for secondary level students. Crag Cave in December is turned in Santa’s Winter Wounderland. It is a truly magical experience not to be missed. There are eight different party deals to choose from at Crag Cave in Kerry so you are bound to find one to suit you and your child. You can bring your own cake or they can provide an ice cream birthday cake. It costs €8.00 for a medium sized cake and €10.00 for a large cake. The regular birthday party (€12.95 per child weekends, €11.95 per child mid week) includes and a half hours play in Crazy Cave with unlimited orange juice available during play. It also includes a half hour in the party room at the end of the party with hot & cold food. The food consists of chicken nuggets, cocktail sausages and chips with soft drinks, followed by popcorn and crisps. The regular party deal uncludes a party bag for each child, two complimentary teas/coffees for parents, a Crazy Cave present for the birthday child and a group photograph of everyone at the party to take home and remember your special day. A healthy option Pasta Party is also available at no extra charge or you can try their homemade Pizza Party with chips, ice cream, jelly and all the usual extras for only €2.00 extra per child. The Play and Party deal (€12.95 per child) includes one and a half hours play and a half hour in the party room with hot & cold food. The food includes chicken nuggets, sausages, chips, drinks, popcorn, crisps and sweets). There will be a party bag for each child, two complimentary teas/coffees for each parent, a group photograph, a return voucher for two children and a present for the Birthday Boy or Girl. Again Crag Cave will supple unlimited juice during play. The Traditional Party Games (€14.95 per child) option includes one hours play, a half hour in the party room with hot & cold food. (same food as above) and a half hour of fun and traditional party games with prizes. Each child will receive a party bag, two complimentary teas/coffees will be available for parents, a group photograph will be taken, you will receive a return voucher for two children and a present for the Birthday Boy or Girl. Again Crag Cave will supple unlimited juice during play. The Crazy Cavers party (€15.95 per child) option includes one & a half hours play, a half hour in party room with hot & cold food. (same as previous) and a half hour guided tour of Crag Caves magical kingdom of stalagmites & stalactites. A party bag for each child will be supplied, two complimentary teas/coffees for parents, a group photograph, a return voucher for two children and a present for the Birthday Boy or Girl. Of course unlimited juice will be provided during play. The Glitz and Glam party (€15.95 per child) offers one hour and fifteen minutes of play, a half hour in the party room with hot & cold food. (same as above) and forty-five minutes Glitz & Glam, Make Up, Nails and Jewellery. A party bag will be provided for each child, two complimentary teas/coffees for parents, a group photograph, a return voucher for two children and a present for the Birthday Boy or Girl. Of course unlimited juice will be provided during play. The Crafty Kids party (€15.95) includes one hours play, a half hour in the party room with hot & cold food. (the same again), one hour of Arts & Crafts. The Birthday child can choose from a range of make & do activites with something for each child to take home. 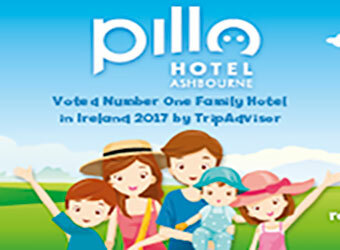 A party bag for each child will be included as well as two complimentary teas/coffees for parents, a group photograph, a return voucher for two children and a present for the Birthday Boy or Girl. Unlimited juice will be provided during play. The Crag Cliff Climbing Wall Party (€15.95 per child). Crag Cliff is a 7m mobile climbing wall suitable for children 6years and over. All children are fitted with safety harnesses while climbing the wall. The party includes forty-five minutes play and thirty minutes in the party room with hot and cold food. (same as usual) plus forty-five minutes climbing time on Crag Cliff. 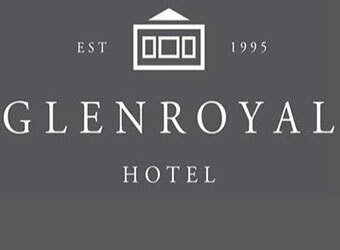 A party bag for each child will be included as well as two complimentary teas/coffees for parents, a group photograph, a return voucher for two children and a present for the Birthday Boy or Girl. The Wild West Rodeo Bull Party (€15.95 per child). Time to put on your cowboy hat and see how long you can stay on the Rodeo Bull at this party. The party Includes one hours play and thirty minutes in the party room with hot and cold food. (same as before) plus thirty minutes in the Bull Ring where all children will get a chance to ride the Wild West Rodeo Bull. A party bag for each child will be included as well as two complimentary teas/coffees for parents, a group photograph, a return voucher for two children and a present for the Birthday Boy or Girl. The Rodeo Bull and the Climbing Wall can both be booked by the hour for group events. 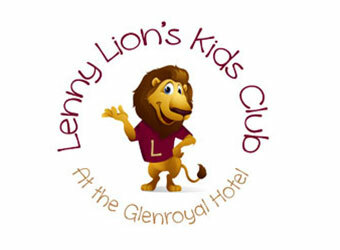 €8.00 per child for two hours of play. 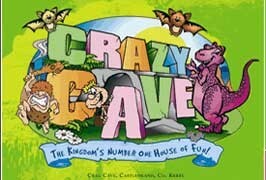 Combined Cave & Crazy Cave ticket €11.00 per child. Teachers are admited free of charge with their students. Crag Cave is located 2km outside Castleisland town just off the N21. 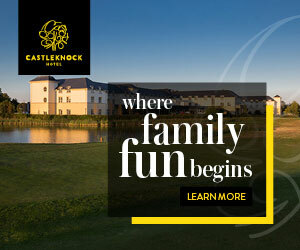 It is 15 km from Tralee and 25km from Killarney and 80 km from Limerick.